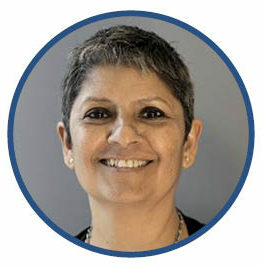 Sangeeta brings to Global Fund years of experience in the non-profit and private sector with a focus over the past decade, on economic and environmental justice. Since joining Global Fund, she has led a $5.9million grant fund from the Dutch Foreign Ministry in support of grassroots women’s leadership for economic and political empowerment and ending violence in Asia and the Pacific; and has spearheaded a multi-year initiative in South & Southeast Asia to address trafficking in the context of labor and migration. She currently serves on the Board of Center for Health and Gender Equity. Before coming to Global Fund, Sangeeta worked to support community solutions to improving access to safe water and sanitation. At the Bill and Melinda Gates Foundation she led a 10-country study focused on bringing sanitation services to underserved urban populations across Asia and Sub-Saharan Africa and headed the Foundation’s initiative at the Acumen Fund piloting solutions to improve access to safe drinking water across India and Kenya. A native of India, Sangeeta has been engaged in various capacities in support of livelihoods projects – as Executive Director of League of Artisans, she worked to support local artisanal crafters and, prior to that, helped CARE India launch an institution focused on developing the livelihoods and microfinance sectors in India. At the American India Foundation, Sangeeta was involved in grant portfolio assessment and strategy development for livelihoods grant-making. Sangeeta holds a Masters in Public Administration (Program in Economic Policy Management) from Columbia University’s School of International and Public Affairs as well as a Masters in Electrical Engineering (Columbia) and in Physics (Northeastern University).